The Southern Maryland Civil War Round Table is pleased to announce that its next meeting will take place on Tuesday, September 13, 2016 at 7:00pm at the College of Southern Maryland’s Center for Business and Industry, Chaney Enterprises Conference Center, Room BI-113, at 8730 Mitchell Road in La Plata, MD. Following the War of 1812 the Federal Government opened ten arsenals across the newly formed United States. One of these was located in Pikesville, Maryland. Opened in 1818 the arsenal supplied weapons and equipment to the United States Army until the beginning of the Civil War. After the war the property was conveyed to the State of Maryland. In 1888 a great need existed for the care and shelter of Confederate veterans living in Maryland after the Civil War. General Bradley T. Johnson, the president of the Association of the Maryland Line, approached the state legislature for permission to convert the arsenal buildings in Pikesville to a home for Confederate veterans. Supported by private donations from nearly every Southern veteran’s organization in the state, the home was both an immediate and long term success. 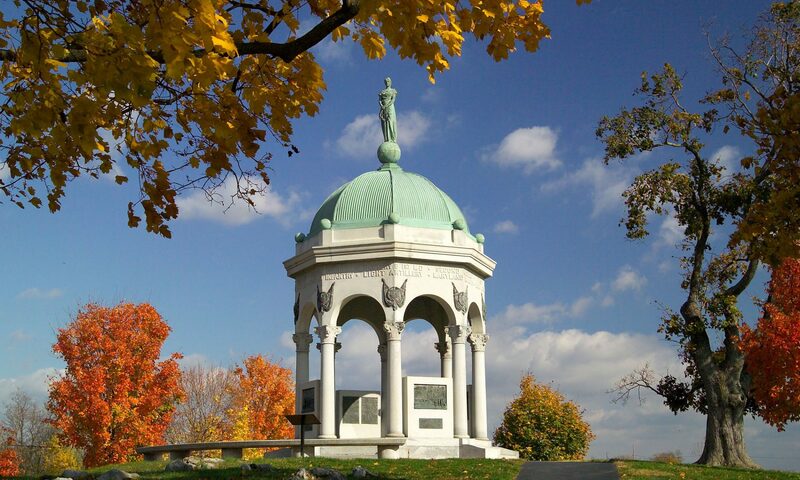 Noted Maryland author Daniel Carroll Toomey will give a brief history of the Pikesville Arsenal followed by an in depth look at the creation and management of one of Maryland’s least known Civil War sites. Daniel Carroll Toomey is a graduate of the University of Maryland and the author or co-author of a dozen books including The Civil War in Maryland and Baltimore During the Civil War. He has lectured for a number of historical organizations and colleges including the Smithsonian Institution and Johns Hopkins University. His course “The Civil War in Maryland” has been taught throughout the state. Dan has contributed to a number of radio and television programs and several video productions. He also serves on the Maryland Military Monuments Commission and was Project Historian for the Maryland Memorial erected at Gettysburg in 1994. It was Dan Toomey who wrote the inscription for that monument. Dan has won numerous awards for his historical research and exhibits including the Gettysburg National Battlefield Award in 1985 and was the 2001 recipient of the Peterkin Award given by the National Park Service at Fort McHenry. 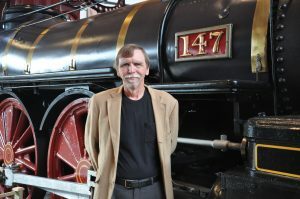 He is currently the Guest Curator at the B&O Railroad Museum and designed The War Came by Train exhibit – the largest Civil War railroad exhibit ever presented and written a book by the same title. The Southern Maryland Civil War Round Table invites all to join us as we welcome Daniel Carroll Toomey back to speak to us about this little known Civil War treasure within the Free State’s boundaries. Attendance is free for all, but membership is recommended. For information, contact the Round Table’s president, Brad Gottfried, at bgottfried@csmd.edu or 301-934-7625.